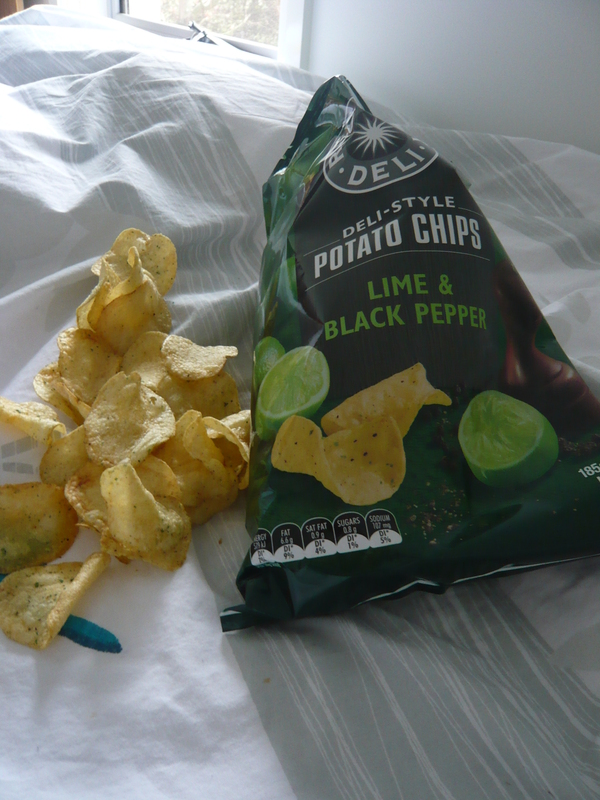 One of my favourite things ever are lime and black pepper chips. I remember seeing them in the shops, thinking “who on earth would eat those” and then being bullied into trying them, loving them, and pretty much living on them and Blue Costello cheese for a year while I did honours. 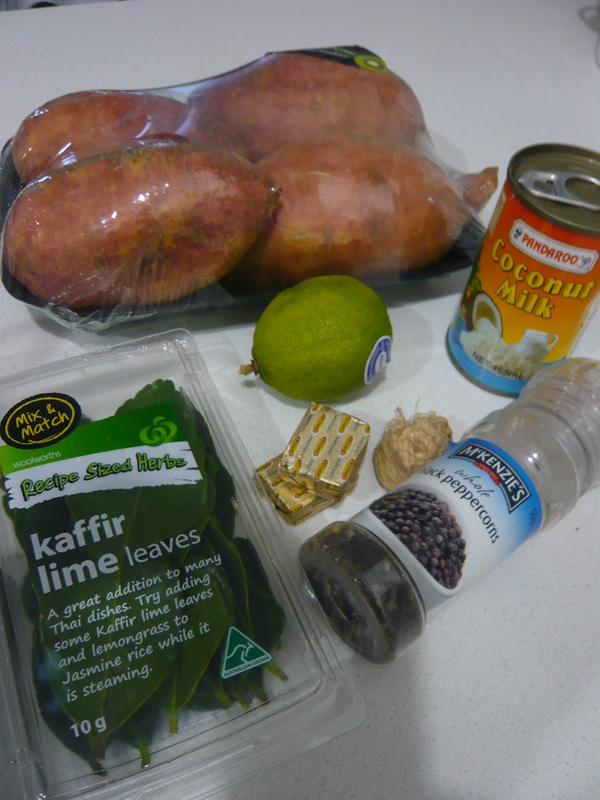 So the other day when co-worker mentioned (nose upturned) her friend was raving about lime and sweet potato soup, instead of joining the general flavour confusion, I begged for the recipe, and now I want to share it with you. 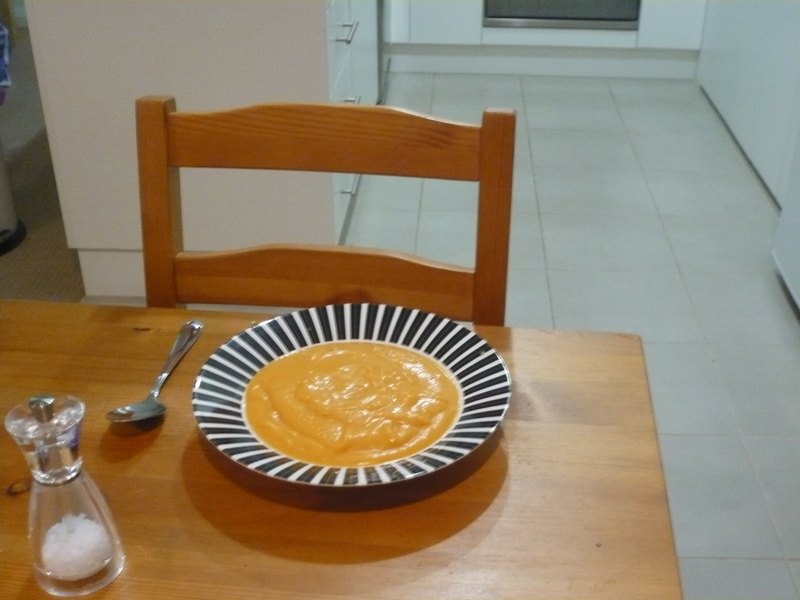 Soups are fantastic and filling, and as you may be noticing from recent posts, I pretty much live on them during winter. 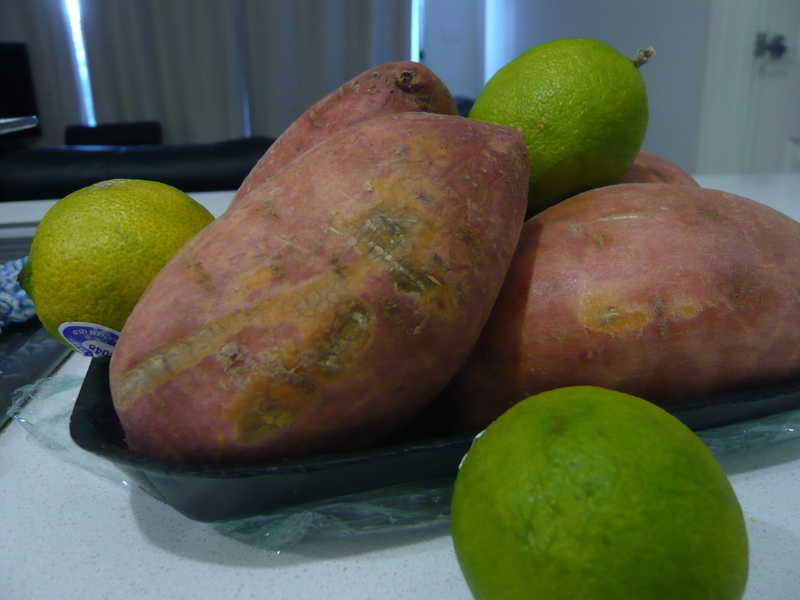 I think this particular soup makes a great addition to the winter repertoire because while the sweet potato keeps it filling, the lime gives a fresh zang, which is such a nice break from the heartier fare I tend to during this season. 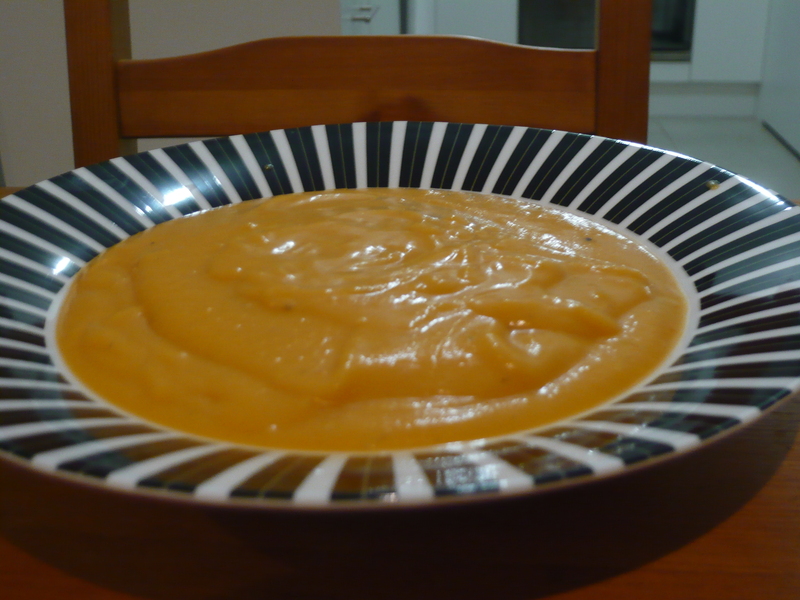 The recipe is originally from the paleo (or caveman) diet. Which is quite possibly the most stupid diet ever. For those who don’t know the paleo diet argues that our bodies and metabolisms evolved for conditions thousands of years ago, and haven’t adjusted to modern conditions. This far I agree with. As anyone losing weight would know, a lot of our bodies responses to calories were designed for times of scarcity and famine in the cradle of humanity somewhere in Africa, that’s why we crave dense energy sources (like that stable of the traditional African diet, potato chips) and why our metabolism assumes famine and starts conserving energy and eating muscle if we don’t eat within 30 minutes of getting up. But the paleo diet responds to that assumption by declaring we should cut out any foods that didn’t belong on the pre-agrarian menu. Which means grains, white potato, sugar… I don’t know, that’s when i decided it was stupid. I’m just going to assume anyone who is reading this blog agrees that the whole point of the evolution of human civilisation has been to get the fire inside houses and into ovens and the wheat into flour so we could make cakes. Though I guess Paleo would still be pro almond meal, and therefore pro sugarless macaroons… which were obviously every caveman’s favourite treat and what they used to make their sweethearts to make up for dragging them round by their hair. Also, I’m pretty sure cavepeople were just gettign the hang of burning thir meat – they didn’t make soup. I basically disagree with any diet that claims if you just cut out 1 thing (or several) you can otherwise eat what you want and be happy, healthy and thin. Diets like that are not sustainable in the long term, and they’re not accurate. Yes, there is a lot wrong with how we eat now, but the problem is how we eat, not what. Sugar is not actually poison. Humans would be extinct if it was. Carbs do not magically make us fat, having “fries with that” or two cups of pasta covered in cream does. And any diet that thinks not eating fruit or vegetables for 10 days is “good for you” just seems to fundamentally miss something about nutrition. Anyway, diet rant over. What I mean to say is don’t hold the origin of this recipe against it. It was really yum, really light, really filling, and really easy. It did not however make me want to grab a big stick and go hunt dinner. 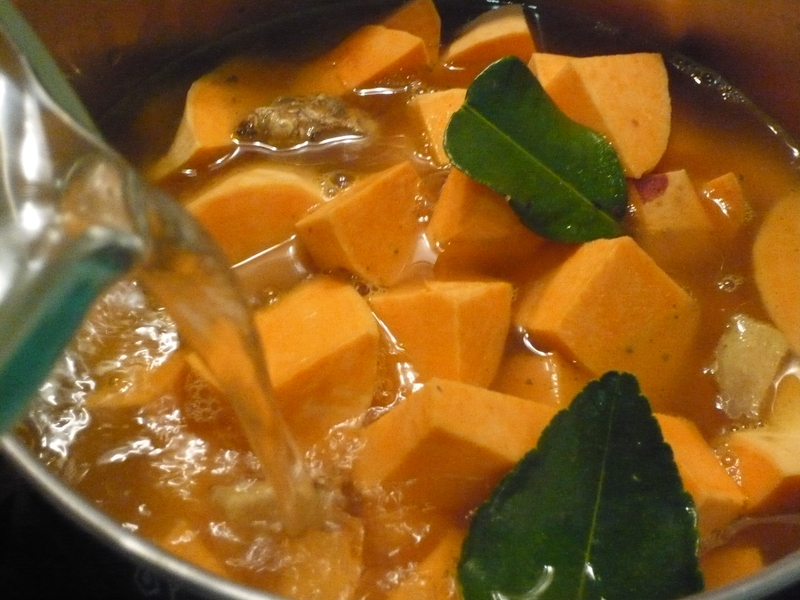 In a large sauce pan over a medium-high heat, combine the sweet potatoes, stock, ginger and lime leaves. Allow the contents to come to a boil and then turn the heat down to medium-low and continue to simmer for about 20 minutes, or until the potatoes are tender to the touch. 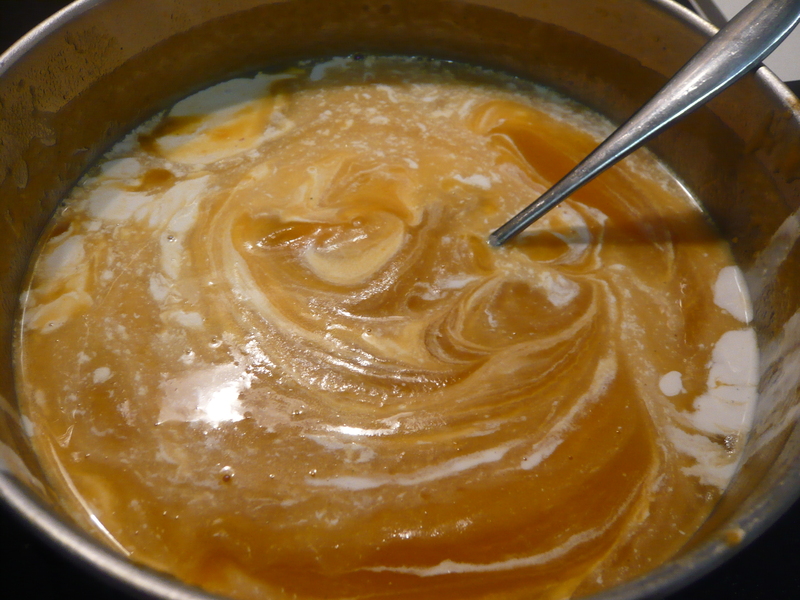 Remove the soup from the heat and use a hand-mixer or a blender to blend the soup until completely smooth. 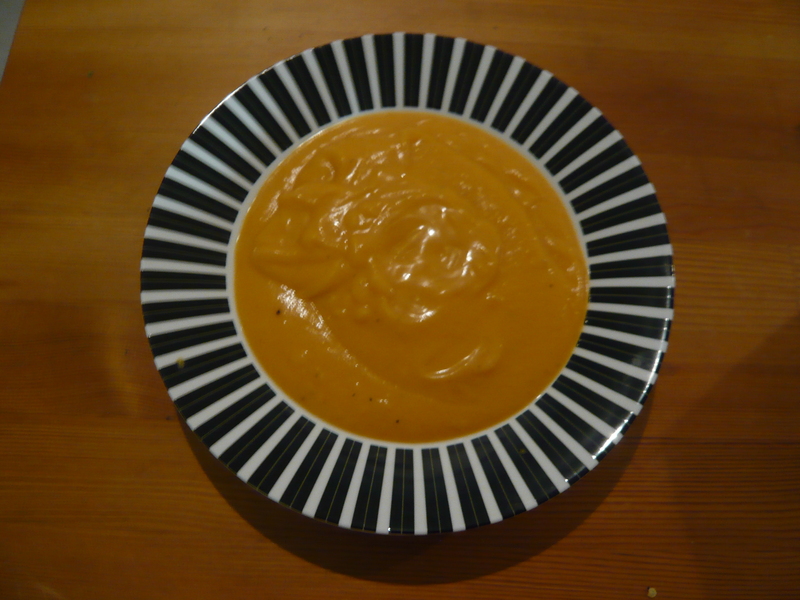 Return the soup to a low heat and mix in the coconut milk, water and lime juice. Season to taste with salt and pepper. Stir well. You will know everything is mixed correctly once the coconut milk is completely blended in. Posted in recipes and tagged healthy, Soup, weight loss rants. Bookmark the permalink.